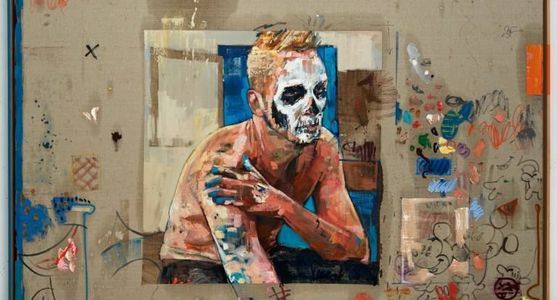 ANDREW SALGADO (b.1982, Canada) is one of the eminent emerging painters in both the UK and North America. He has been listed by Saatchi as "one to invest in today" (Sept 2013), lauded by esteemed critic Edward Lucie Smith as a "dazzlingly skillful advocate" for painting, endorsed by Tony Godfrey (author of Phaidon's Painting Today) as an "exciting artist with a particular vision"; and labeled a "rising star" by London's Evening Standard (Aug 2015). Salgado maintains an active international exhibition schedule. Forthcoming solo exhibitions include Youth in Trouble, for Pulse Miami Beach over Art Basel Miami Week, (Dec 2015), as well as his much anticipated fourth solo exhibition at Beers London (Sept 2016). He has also curated The Fantasy of Representation, including work by Francis Bacon, Gary Hume, Alexander Tinei, and Hurvin Anderson for Beers London (July-Sept 2015). Salgado is featured in 100 Painters of Tomorrow, authored by Kurt Beers and published by Thames & Hudson (2014); he is subject of a 2015 documentary, entitled Storytelling - which followed the artist over 4 months while he created a body of work (www.storytellingfilm.com). He is recipient of Canada's Lieutenant Governor's Arts Award (2013). In 2015 the artist will collaborate with Danish fashion house RAINS to release a line of luxury garments. Previous solo exhibitions include This Is Not The Way To Disneyland, (Beers at Volta Basel, 2015); Storytelling, Beers, London (2014); Variations on A Theme, One Art Space, New York City, (2014); Enjoy the Silence, Christopher Møller, Cape Town (2014); his first museum-based exhibition, The Acquaintance, Art Gallery of Regina, Canada (2013); and The Misanthrope, Beers, London, (2012). His paintings have been exhibited in London’s Courtauld Institute of the Arts; included in the Merida Biennale of Contemporary Art (2010); the NordArt Carlshutte Biennale (2012). 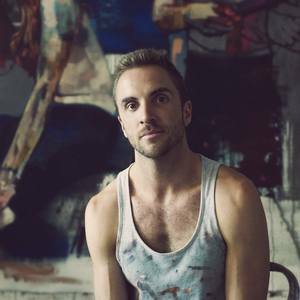 He has been featured in Artnet, Maclean’s (Canada), The Globe and Mail (Canada), The Independent, The Evening Standard, Shortlist, Metro, and more. He frequently donates to charitable associations worldwide, including the Terrence Higgins Trust, Diversity Role Models, MacMillan Cancer Support. In 2011 his work garnered the highest-bid ever auctioned at Canada’s esteemed Friends For Life Annual Charity Auction. In 2013 he was commissioned to create a brand new series of large-scale works to adorn the windows of the luxurious UK-retailer, Harvey Nichols. Salgado has lived and worked in London, UK since 2008.